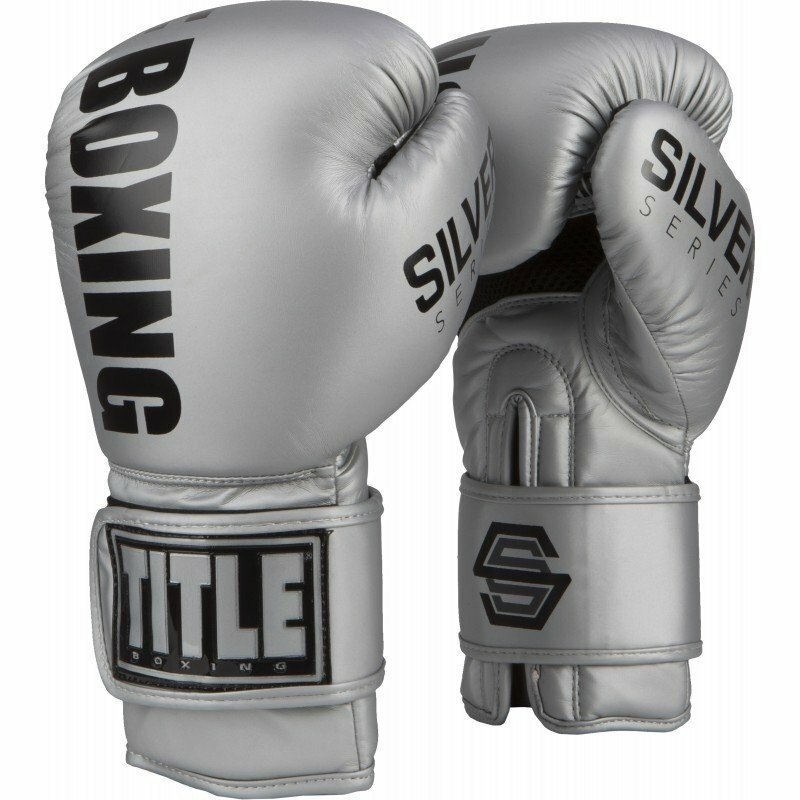 Stunning, stylish, sparkling, super-flashy and super high quality limited edition Silver Series Select Training Gloves are crafted with exclusive silver over silver over silver durable engineered leather cover and exclusive molded foam over the fist and knuckles to form a superior, more impact-resistant core for all the comfort, shock absorption and execution athletes demand in their training, sparring and boxing workouts. An all new design – cut a little longer fin the wrist and cuff for superior training and sparring -- with anatomically contoured inner fist for a more natural, less fatigue hand position while training. Full wraparound adjustable hook-and-loop wrist strap affords easy on and off, yet secure, snug and comfortable fit during training. Includes and integrated double weave nylon mesh air release panel in the upper palm to allow hot air release for cooler and drier training and sparring. Complete with an ultra-comfort moisture-wicking inside hand liner to help reduce perspiration and keep athlete cool and dry. The Silver Stars are Here Now . . . for a limited time only!